#SchoolForAll: an impact litigation strategy on the Right of Inclusive Education. This post has been submitted by Lucas Correa, Research Director and Maria Valencia, Junior Researcher at DescLAB. Lucas Correa and María Valencia from DescLAB. The lawsuit #SchoolForAll [#EscuelaParaTodos in Spanish] was presented by Laboratorio de Derecho Económicos, Sociales y Culturales (DescLAB in Spanish) [Laboratory of Economic, Social, and Cultural Rights-DescLAB], on June 16th, 2017. This lawsuit’s scope is to protect the Right to Inclusive Education for people with disabilities facing systematic exclusion from Colombia’s mainstream educational system. In the lawsuit, the DescLAB asked the Colombian Constitutional Court to declare unconstitutional some domestic laws that foster special and integrated education by recognizing that such kind of education discriminates against people with disabilities. The request to protect the Right to Inclusive Education is based on Article 24 of the Convention of the Rights of Persons with Disabilities (CRPD), an international treaty on Human Rights ratified by Colombia. It was an opportunity to make the CRPD live at the domestic level. The battle against special and integrated education. The constitutional reasoning behind the lawsuit #SchoolForAll is two-fold. On the one hand, DescLAB argues that the laws under judicial scrutiny promote special education, which encourages discrimination and segregation of persons with disabilities by separating them into special institutions apart from mainstream schools. 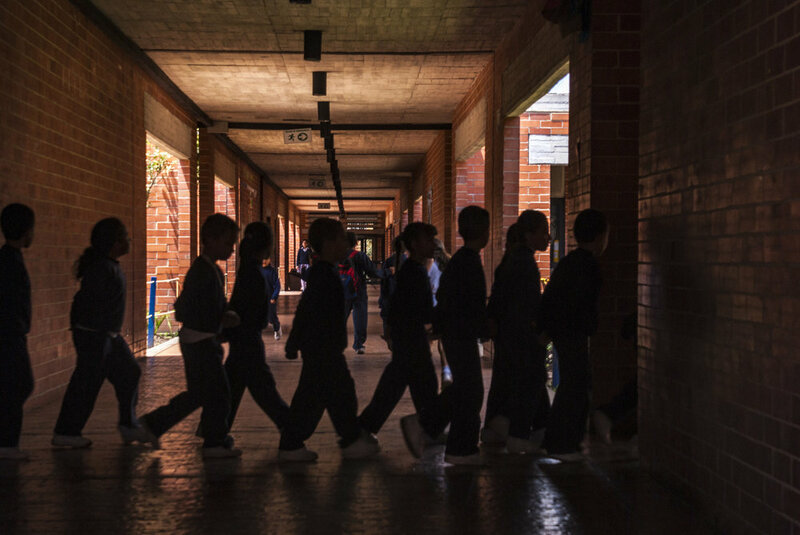 DescLAB estimates that more than 130,000 students with disabilities are excluded from mainstream schools in Colombia. In accordance with Article 24 of the CRPD, the Colombian State has the obligation to guarantee an inclusive educational system because the Right to Inclusive Education is not only a manifestation of the Right to Equality but also a free-standing Human Right within our constitutional system. DescLAB also argued that integrated education is a violation of the Right to Inclusive education of people with disabilities. Even though integrated education allows students with disabilities to access mainstream schools, it does not compel schools or public authorities to provide the support nor execute the reasonable accommodations that the students with disabilities need to learn and participate in equal conditions with other students. Integrated education relies upon students with disabilities adjusting to an existing educational system rather than having the education system make modifications to enable the student to fully participate, often because the system considers them not worthy of education. In Colombia, less than 190,000 students with disabilities are included in mainstream schools, less than 1.8% of the 10.2 million students enrolled. The opportunity for an extensive discussion on inclusive education. The lawsuit has provided the Colombian Constitutional Court with the opportunity to open an extensive discussion regarding the challenges which the right to inclusive education of persons with disabilities poses not only to the judiciary but to lawmakers and the executive branch. More than forty-three national and international authorities were called to participate. These authorities include the Presidency of Colombia, the Ministry of Health, the ICBF (Colombian Institute for Family Welfare), some Colombian universities, UNESCO Colombia, Asdown Colombia and Inclusion International among others. #SchoolForAll is an impact litigation strategy aimed at fostering real inclusive education in Colombia, according to what is guaranteed in the Convention on the Rights of the Persons with DisabilitiesVia this lawsuit, DescLAB is seeking to create awareness of the systematic exclusion of people with disabilities and to eliminate it so that every girl, boy and teenager in Colombia can receive a quality, inclusive education, whether or not they have a disability.